The bright side, however, was that many of the buildings in the town cores were of the Gold Rush era and while not replaced, they were maintained. In addition, grapes had been grown here since the 1850’s and that industry was coming into its own, as America began a love affair with wine. Tourism took off and a market for second and retirement homes emerged. The County’s proximity to major highways and major metropolitan areas (with just enough distance to keep it unique) makes it a very desirable place for Lifestyle activities and investment. Back Roads in Amador County are some of the most beautiful in the area. Car Clubs, bicyclists, walkers and runners, and a trove of groups visit here annually. 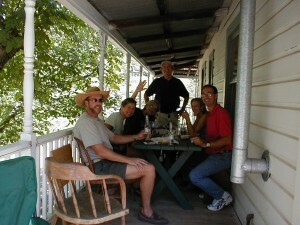 Fine Dining, family style and country food abound. Antiques, art, custom clothing and jewelry shops are tucked into fascinating places as well as mine tours and museums. 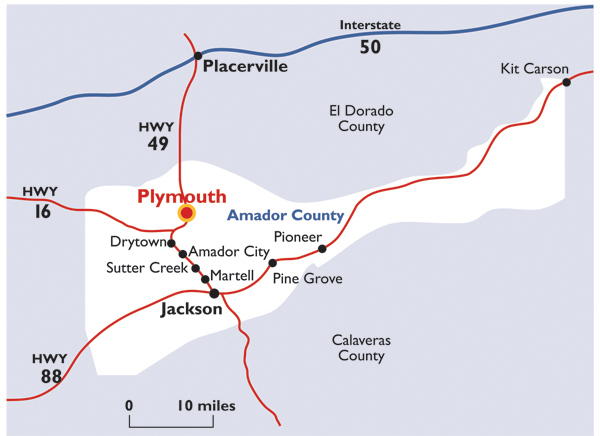 There are over 500 rooms in Amador County available to visitors and travelers. Starting on the Highway 49 corridor in the north of the County at Plymouth and continuing less than 20 miles to our County Seat in Jackson will take you by many of the main attractions. Also, in the north, within 5 miles of Plymouth lie over 30 of our wineries in the beautiful Shenandoah Valley. Wine tasting here is not a cattle call. 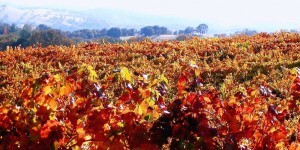 Likely you will be talking with owners and winemakers and other enthusiasts in a variety of delightful settings. The Amador Flower Farm, with a wide variety of items, is known far and wide for its Day Lilies – over 800 varieties. Check the event calendars for what is going on during your visit. Make the trip to our Amador Home and Lifestyle Show more than a one stop day trip. In fact, stay the night and have a wonderful time in a very affordable area that abounds with mystic beauty. Sacramento International Airport is served by 150 flights daily with direct service to more than 20 destinations. Major carriers include Southwest Airlines, American Airlines, Delta Airlines, Continental Airlines and many more. 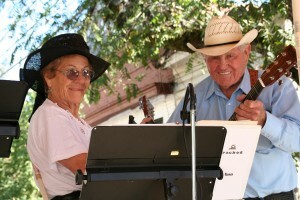 ARTS offers public bus service throughout the County and to Sacramento. Call 209-267-9395 for schedules or more information.